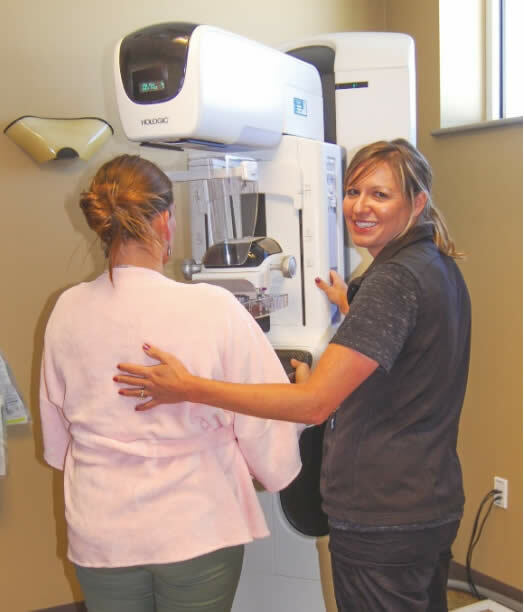 Gunnison Valley Health mammogram radiologist Kelsey Loftis is pictured with new 3D imaging technology. Gunnison Valley Health and Cattlemen’s Days Tough Enough to Wear Pink are partnering to offer a complimentary chair massage with a mammogram screening during select times on Mondays. Gunnison Valley Health CEO Rob Santilli said Mammo Mondays are designed to educate the community about breast care and the importance that a routine mammogram can save lives. “According to the National Cancer Institute, one in eight women will develop breast cancer in their lifetime,” Santilli said. “However, with early detection, the five-year survival rate is almost 100 percent. “Thanks to the support of Cattleman’s Days Tough Enough to Wear Pink, we offer the latest in technology with our new 3D Tomosynthesis Mammography screenings right here in the valley,” he added. Santilli noted that the Hologic Genius 3D screenings find up to 65 percent more invasive breast cancers than any other exams and identify cancer clusters in dense breast tissue that is very common in healthy and active community members. 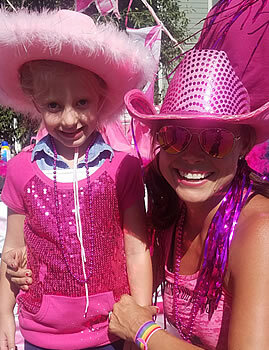 Cattleman’s Days Tough Enough to Wear Pink Executive Director Heidi Sherratt said breast cancer accounts for the largest percentage of cancer types diagnosed in this community. She said she cannot stress enough the importance of a routine screening. “The best part is, you do not need to leave the valley as we have the best technology that rivals anywhere in the state,” she added. For more information on Mammo Mondays and to make an appointment, contact Gunnison Valley Health’s Diagnostic Imaging Department at 970.641.7253.